Experience the Canadian Rockies like never before on an unforgettable dog sled tour! BANFF, ALBERTA, Canada – There’s nothing like the thrill the driving a team of Canadian Huskies through the enchanting wilderness of Banff National Park and Lake Louise in the Canadian Rockies. Experience the adventure of a lifetime on our world class Banff dog sledding tours that teach you the history and techniques of this traditional Canadian winter sport. Our certified guides lead two-hour dog sledding tours that take you to some of the most spectacular settings in Banff National Park. Each tour begins with safety briefing and short introduction to the history of dog sledding in the Canadian Rockies. We finish with a traditional campfire where you’ll savor our famous “mystery cookies” and steamy hot apple cider as you reflect on your dog sledding journey amongst family, friends and, of course, dogs. 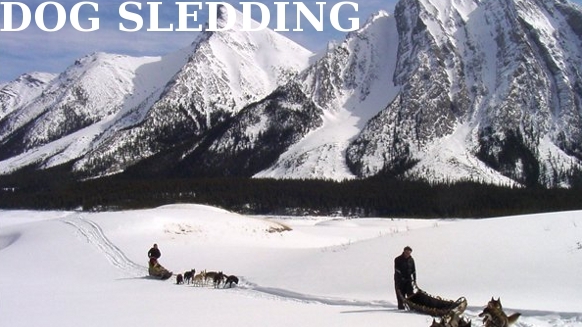 We guarantee your dog sledding adventure will become one of your favorite Canadian Rockies activities! Watch this Snowy Owl Dog Sledding video and prepare yourself for an unforgettable winter experience!